First published in 1905, German poet Christian Morgenstern’s piece is a darkly comic linguistic caprice. Illustrated with punctuation marks, the text is a romp, and yet the political undertones are unmistakable, suggesting systems of menacing control. Rathna Ramanathan’s art and design invoke well-known icons, styles and genres of early 20th Century western and Russian art and craft to make a compelling argument about freedom of expression. This handsome hand, silkscreen-printed edition recreates the brilliant conceptual art of the book, with ink, line and paper combining to add depth and texture to every page. Christian Morgernstern is a late nineteenth century German poet whose dark and capricious verse was inspired by English Literary nonsense. A satirist of the highest order, his work has continued to delight generations of Germans. Rathna Ramanathan, principle of Minus9 Design, is from Chennai, India and is currently based in London. She holds a phd in the History of Graphic Communication and Typography at the University of Reading and an MA in Communication Design from Central St Martins. Rathna has taught design and typography in India and has taught previously at Central St Martin's London. She is currently Head of Visual Communication at the Royal College of Art, London. 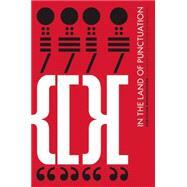 She is the Association Typographique Internationale [ATypI] Country Delegate for India. A practising designer, Rathna splits her time between India and the UK and her work for Tara Books has received a number of international design awards. Sirish Rao is a writer interested in children's books and the arts. He lives in Canada and India.